Cityscape Global, the biggest property exposition in the region, is set to welcome visitors to Dubai World Trade Centre today for showcasing a range of offerings from scores of real estate developers. 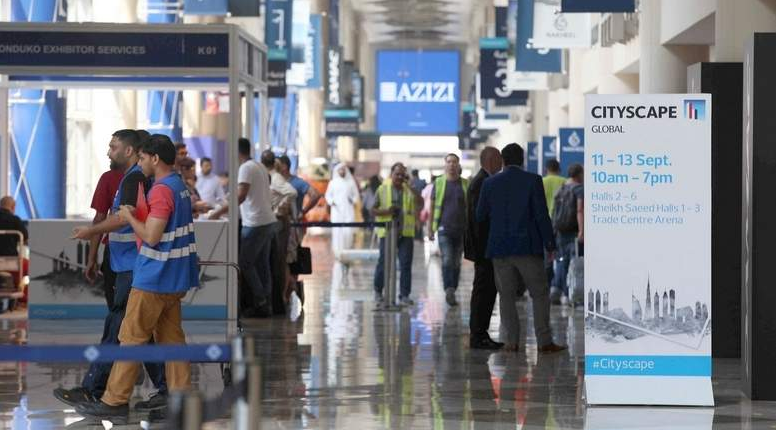 This year’s edition, fielding 300 exhibitors, sees the introduction of on-site sales for all UAE projects, which means visitors will be able to compare investment options in one place and make purchasing decisions right on the show room floor, exhibitors said. The three-day show, running from Monday to Wednesday, offers a range of exclusive deals from leading developers as Dubai’s property market starts a new cycle of upswing. Visitors will be spoilt for choice with a plethora of seemingly irresistible deals and bargain offers. Units in Jumeirah Golf Estates’ Al Andalus Building C, a Mediterranean-inspired collection of affordable luxury apartments and townhouses, will be offered on a 30/70 payment plan. The plan will be broken down into five per cent on booking, one per cent every month during construction, two per cent for the last installment before handover, and finally 70 per cent on handover. RKM Durar Properties will offer a 10 per cent discount off on all off-plan sales for their apartment units at the uniquely shaped two-tower residential project, J One, located in Burj Khalifa District during Cityscape Global. For Tiger Properties’ recently launched fully-furnished tower, O2 located in Jumeirah Village Circle, prices of units start at Dh380,000 and go for a monthly rate of 1.5 per cent, offering one of the most competitive prices on the show floor. Deyaar will showcase units at its Midtown project at a starting price ranging from Dh480,000. On top of this, they have a 10/90 pricing plan available for down payments, and boast mortgage payments as low as Dh1,398 per month. A selection of deals will be offered by Asteco, predominantly on their Rahala, Anantara Hotel Studio and Anatara Residence units. A 10 per cent cash back is guaranteed for three years on Rahala, while both Anatara properties offer 30 per cent cash back guarantee for the same period of time. Additionally, a variety of new project launches, deals and offers are expected to be announced by local and international companies such as Azizi Developers, Bloom Properties, Binghatti, Compass Real Estate, Damac, Garanti Koza and Tebyan. Nakheel will unveil a range of projects – collectively worth more than Dh3.2 billion – at Cityscape Global. These include a luxury high-rise beachfront residential project on Palm Jumeirah; a residential, mall, hotel and health complex at Discovery Gardens; a collection of homes and leisure attractions at Jumeirah Park; a new hotel at Jumeirah Village Circle; and six marinas for 614 boats and yachts at Deira Islands. In the run-up to the property show, Sobha Group unveiled ‘Hartland Gardenia Villas’ – a collection of four-bedroom luxury villas offering Dubai Canal views priced at Dh8 million each. The new District One Residences will also be launched at Cityscape Global. Phase Three of Mohammed Bin Rashid Al Maktoum City – District One will see a new apartment concept added to the community. The one, two and three-bedroom apartments will be another component to the development, complementing the villas and mansions of phases one and two. RAK Properties, ranked as one of the UAE’s largest property developers, is set to promote its existing portfolio and launch new projects at Cityscape Global. Tilal Properties, a Sharjah-based real estate developer and first property developer to create freehold and leasehold properties in the emirate, will showcase a host of new opportunities for potential investors at Tilal City, during the show. Bloom Properties has announced the launch of Phase II for two of its Jumeirah Village Circle (JVC) developments – Bloom Heights and Bloom Towers. At Cityscape, Bloom will also highlight Stella Maris Tower in Dubai Marina as well as Park View and Soho Square mixed-use developments on Saadiyat Island in Abu Dhabi. National Bonds Corporation, through its real estate arm, National Properties, will offer real estate investment opportunities at the Motor City Green Community project by launching Phase 3 of Casa Flores villas and apartments.